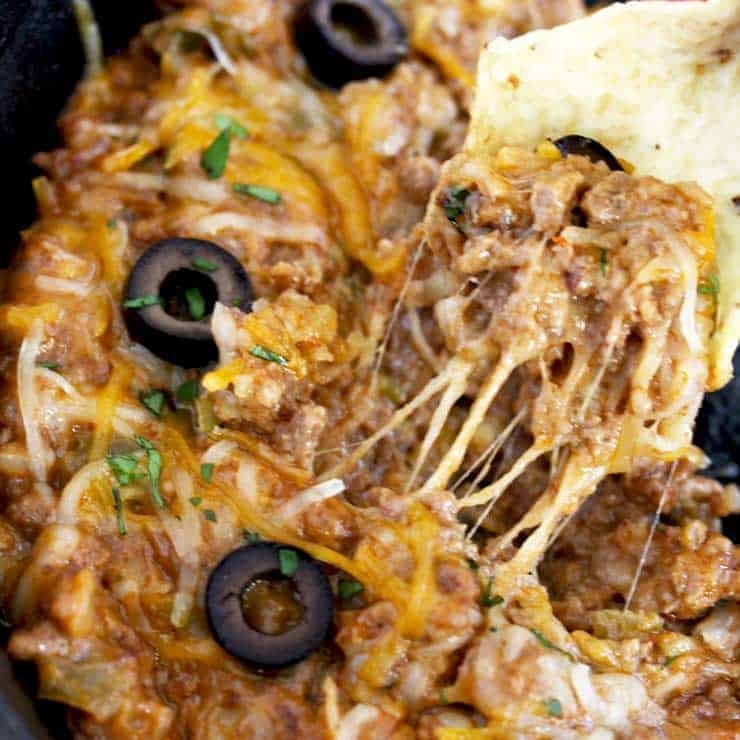 This Taco Dip is loaded with ground beef, green chilies, gooey cheese and all the taco toppings! 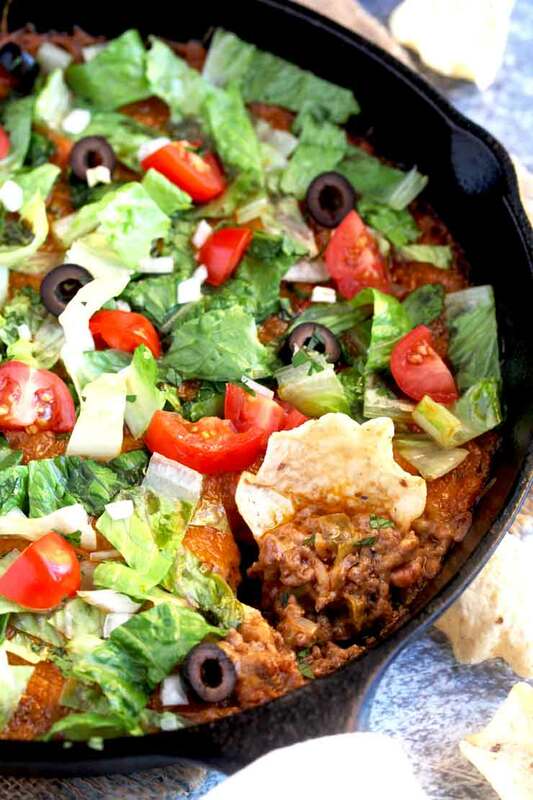 This easy taco dip recipe can be made in one skillet or in your slow cooker! Serve this delicious taco dip with tortilla chips, crackers or fresh veggies! This creamy and cheesy taco dip is one of my favorite dip recipes to serve during game night, parties and family gatherings. Since it can also be made in the crockpot, this is a great appetizer to bring to potlucks or to a tailgate party. 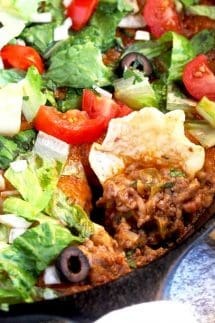 If you want to serve a super flavorful and rich crowd-pleasing appetizer, this taco dip always gets rave reviews. Trust me everyone will be asking you for the recipe! 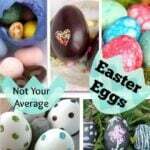 Feel free to pile on all the fixings! Some of my favorite toppings are, chopped lettuce, chopped tomatoes, chopped onions, sliced olives, chopped cilantro, jalapenos, sour cream and extra cheese! If you make this taco dip recipe in your slow cooker, I recommend you stay away from using lettuce as a topping. The lettuce will wilt quickly and look unappealing. Brown the hamburger meat in a skillet until cooked through. Add the onions and cook for about 3 minutes. Stir in the taco seasoning, cumin and broth (or water). Mix well. Add the chiles and salsa and cook for about 4 minutes. Add the cream cheese and mix well until all the cream cheese is melted and incorporated. Add 2 cups of shredded cheese. Mix until well combined. Add the ground beef and onion mixture to the crock pot. Add the seasonings, 1/4 cup of broth, chiles, salsa, cream cheese and 2 cups of shredded cheese and mix well. Cook on low heat for 2 to 3 hours, stirring a couple of times throughout the cooking. Sprinkle the remaining shredded cheese and cook on low heat for an additional 10 minutes. Keep the slow cooker on the warm setting while serving to keep the dip warm! 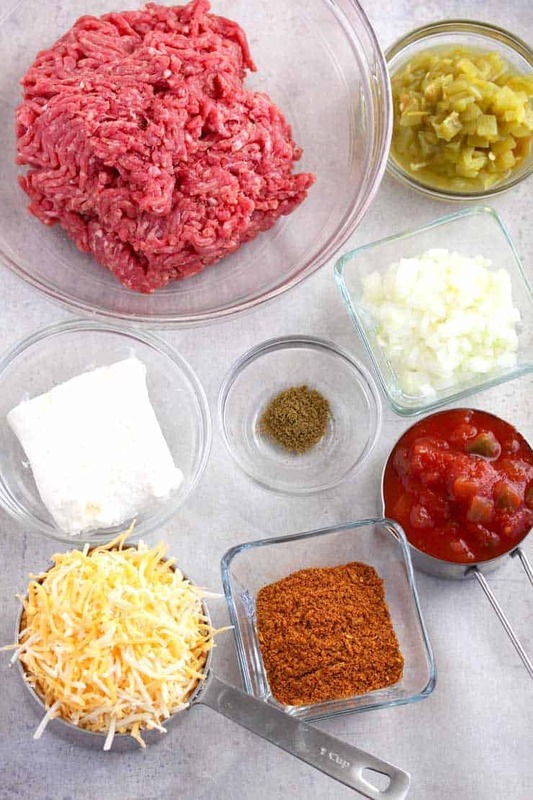 Instead of ground beef, use ground pork, ground turkey or ground chicken. The recipe calls for a package of store-bought taco seasoning. If you have homemade taco seasoning you can use that as well. You will need about 2 tablespoons. I like using chunky salsa to make this recipe. I use mild diced green chiles but if you like spicy foods, get hot green chiles! Use a skillet that can be put in the oven (like a cast iron skillet), that way you can use only one skillet to make, bake and serve your dip! When making this recipe in the slow cooker, you will need only 1/4 cup of broth or water! Spinach Artichoke Dip – Easy! Crockpot Cheese Dip – Popular! Buffalo Chicken Dip – Crowd Pleaser! In a skillet (see notes), brown the ground beef over high heat. Drain any excess fat, if needed. Add the onions and cook for about 3 minutes. Lower the heat to medium. Stir in the taco seasoning, cumin and broth or water. Mix well. Add the chiles and salsa and cook for about 2-3 minutes. Stir in the cream cheese and mix well until melted. Mix in 2 cups of shredded cheese. Season with salt and ground black pepper to taste. At this point, you can transfer the dip to a casserole or simply top the dip with cheese and bake it in the skillet. Sprinkle the remaining 1/4 cup of shredded cheese on top and bake for 20 minutes or until hot, bubbly and golden brown. 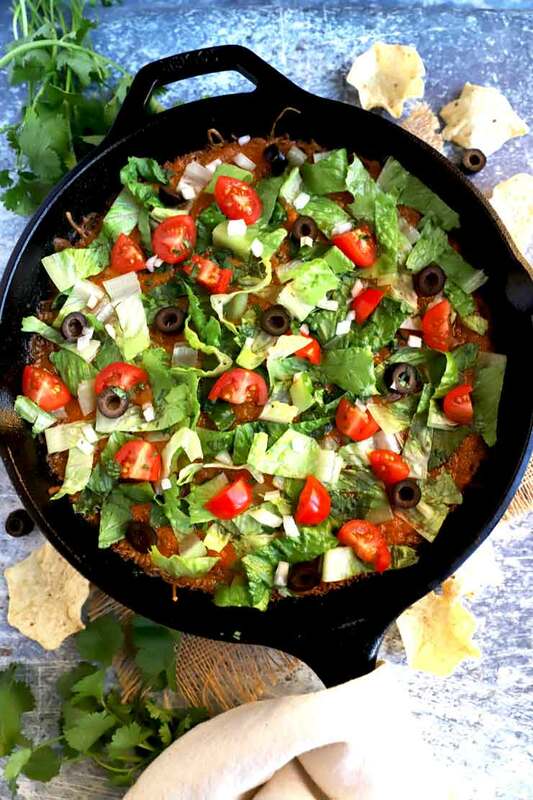 Top with desired toppings and serve warm with tortilla chips. 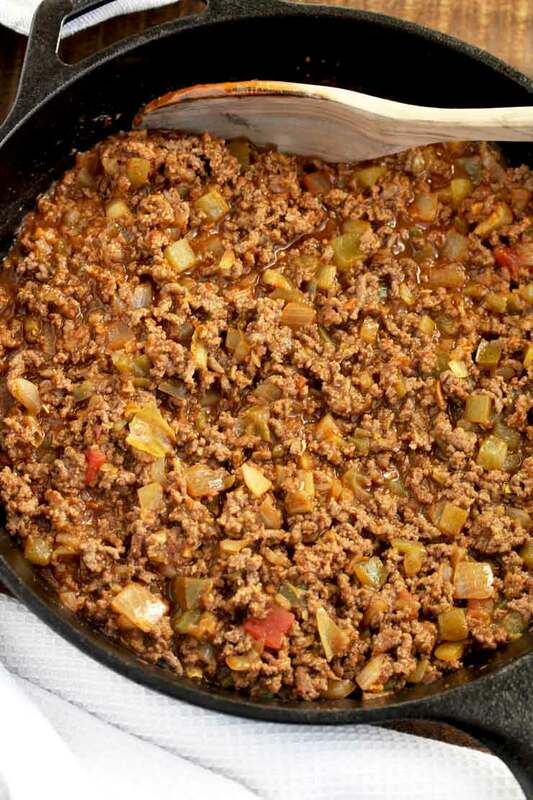 In a skillet, brown the ground beef over high heat. Drain any excess fat, if needed. Add the onions and cook for about 3 minutes. Add the ground beef and onion mixture to the crock pot. Add the taco seasoning, cumin, 1/4 cup of broth or water, chiles, salsa, cream cheese and 2 cups of shredded cheese and mix well. Cook on low heat for 3 hours, stirring a couple of times through the cooking. Taste and season with salt and ground pepper if needed. Sprinkle the remaining 1/4 cup of shredded cheese and cook on low heat for an additional 10 minutes. Top with your desired toppings. Keep the slow cooker on the warm setting while serving to keep the dip warm! Serve with tortilla chips. I recommend using a skillet that can go into the oven (like a cast iron skillet). Made this on the weekend and it was amazing! 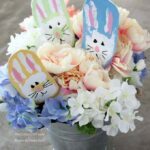 Very easy and everyone loved it.